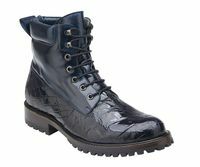 Most self respecting men own at least one pair of dress boots in their closet. 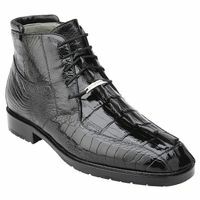 A man who has pride in how he dresses has several pairs of dress boots in his closet. 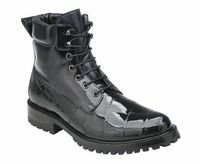 A man who is a potential Jet Setter has some Belvedere Dress Boots in his closet.Nothing says you arrived more than when step into the room wearing a pair of Belvedere Boots. 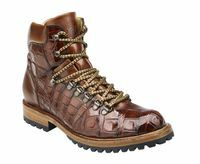 Belvedere boots are made of only the finest Genuine Exotic Animal Skins. If you're looking for Genuine Crocodile Skin boots or Alligator Shoes,Stingray,Lizard or Ostrich Skin you'll do your feet a huge favor with a pair boots made by Belvedere. 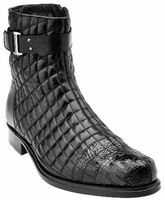 I can guarantee that the first time someone sees you wearing a pair of Crocodile skin boots, someone will stop you to ask you questions about them, and where did you get them. 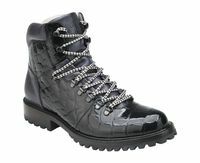 That is how show stopping these exotic skin Boots are. I mean, you've seen crocodile shoes and you may have seen crocodile cowboy boots, but how many people have seen real crocodile skin casual boots with lug soles like you would see on a pair of Timberland's. Not many. Belvedere Exotic Skin Boots are Made in Italy with Old World Quality and Craftsmanship that is not readily found these days. All Belvedere boots feature buttery soft lambskin lining for uncompromising comfort and cushioned insoles. 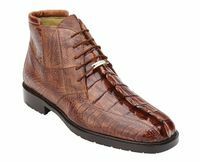 If you Appreciate fine Italian Shoes, you may want to shop online for Crocodile Shoes and Buy Belvedere Shoes, Mezlan Shoes and David Eden Shoes Here.